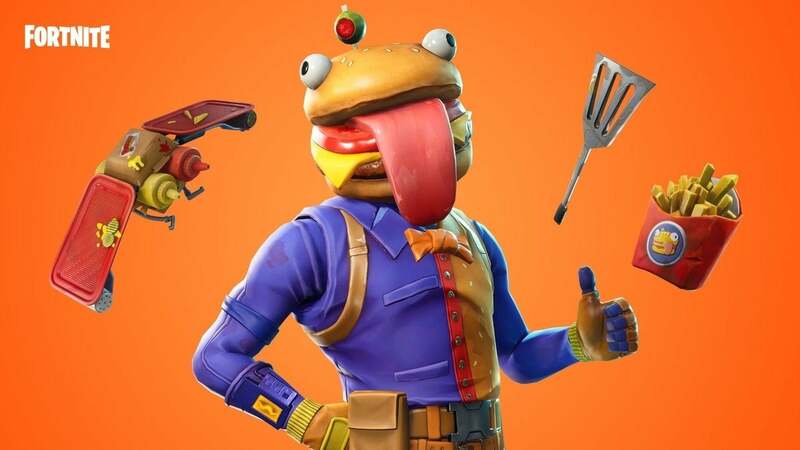 The team over at Epic Games recently added the Durrr Burger item set in Fortnite to commemorate our fallen friend during the Portals that took over at the beginning of Season 5. Though the latest additions were very true to the mascot's form, apparently even more are on the way for players to enjoy. According to Twitter user @Official-Trimix, via our friends over at FortniteBR, the 'Grill Sergeant' is the next skin to be added into the game. Since the item shop goes live later today, it's very possible we'll be seeing the latest item appear in the game as soon as tonight. Though the screenshot looks directly from within the game itself, we're actuall not seeing it at all. Other players haven't been able to find it either, so it's a pretty elaborate data mine - or even possibly a glitch. Or we could just be missing it entirely, we are only human after all. In other Durrr Burger news, the crashing issue with the new skin has been resolved thankfully. The team over at Epic Games took to their Twitter last night to let fans know that they were aware of the issue, "We’re investigating an issue where players may crash while using a cloth Back Bling with the Burger Boss skin. Please avoid equipping any Back Bling with a cape appearance until we have a fix in place." A short time later, a fix was deployed. According to the dev team: "We’ve just released a hotfix to temporarily remove physics from cloth Back Blings. This will prevent players from crashing when using these Back Blings with the Beef Boss skin until we have a proper fix in place."